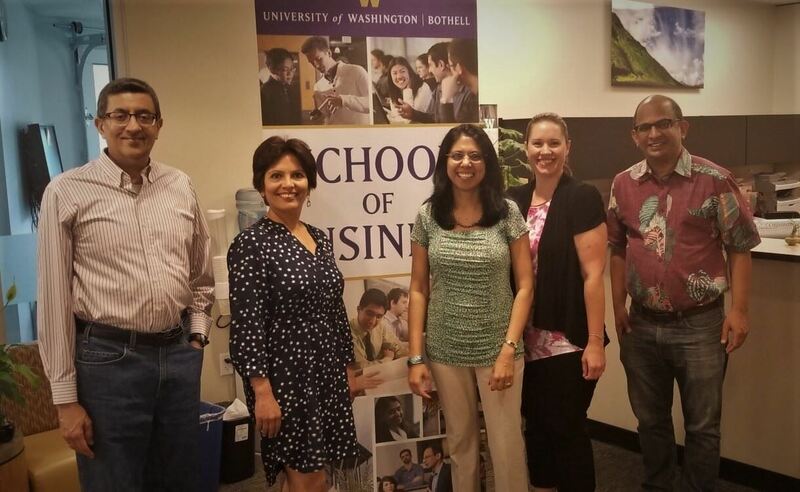 UW Bothell Business School Team and ICF WA Team after a successful completion of collaboration through coaching - Associate Dean P.V. 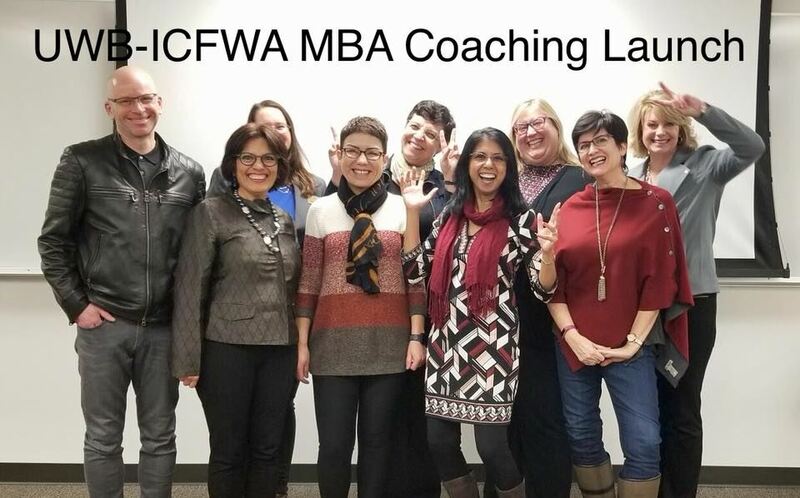 (Sundar) Balakrishnan; ICFWA Vice President Anu Arora, ACC; ICFWA President Sharmin Banu, MS, PCC; Program Manager Angela Harris Wilson, MBA; Dean Sandeep Krishnamurthy, Ph.D. If you want to get involved for the next round, fill out this Google form and we will contact you as we form the new coaching pool.